Perrin Performance PSP-INT-201BK - Perrin Performance Subaru WRX Short Ram Intake in Black; 2002-2007. Increase horsepower and style under your hood. The PERRIN Cold Air Intake system uses proper MAF alignment and plumbing size, which are crucial to maintain proper air fuel ratios and prevent check engine lights that plague competitors. Our intakes are constructed from aluminum tubing which is precision CNC mandrel bent for consistent and perfect fitting parts. Our MAF sensor bung is CNC machined for perfect fit and alignment of MAF sensor to intake. This is crucial for proper air fuel ratios and ECU engine management. 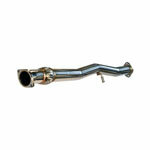 With a PERRIN Cold Air Intake system your car will make a throaty, deep tone on throttle that is undeniably modified. You will be able to hear your turbo spooling and hear your blow off valve every time it opens. Even the stock one. 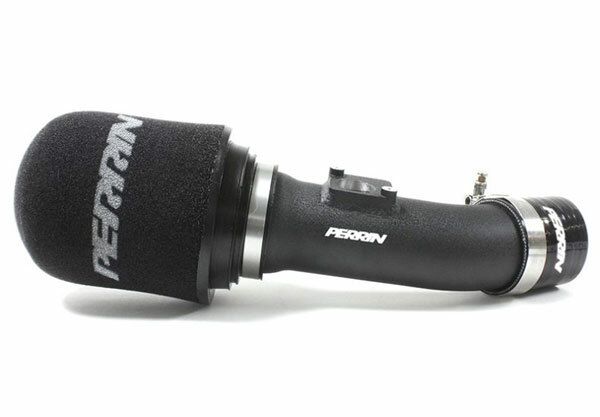 The PERRIN Short Ram Intake features a durable powder coat finish. PERRIN powder coating is available in either red or black and is accented with a wrinkled texture finish. PERRIN Intake filter elements use open cell foam to capture dust and dirt. Washable and reusable, PERRIN Foam Filter elements can last the life of your vehicle. Foam filter elements offer superior performance with minimal airflow restriction and amazing dust holding capacity.